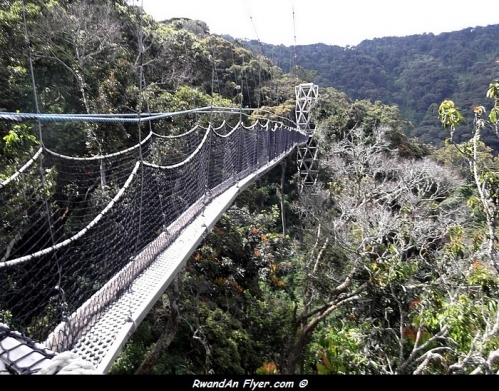 Rwanda Development Board (RDB) will focus on promoting leisure tourism, as another avenue to increase the country's tourism revenues in the 2014/15 financial year. This was announced by Clare Akamanzi, the RDB chief operations officer, who was on Wednesday appearing before the parliamentary Committee on National Budget and Patrimony to expound on the Board's Budget Framework for the next financial year. RDB's budget structure stands at Rwf49bn, an increase of Rwf9 billion in the current financial year budget. According to RDB tourism report 2013, the sector fetched $293.6 million, a slight increase compared to the $281.8 million generated in 2012. "Tourism registered a very low percentage increase in the last financial year. This was partly due to political instabilities in the region," Akamanzi said. She added, "RDB is focusing on exploring other possible ways of making tourists enjoy a pleasant, yet longer stay in Rwanda,"
The reports added that, the total number of leisure visitors who visited Rwanda increased by 10 per cent compared to the previous year. Business visitors, accounting for almost 425,000, have increased by only one per cent. The Rwanda Development Board (RDB) has launched a convention bureau, a one-stop service aimed at boosting tourism in the tiny east African nation. The new bureau was tasked with revitalizing attractions for visitors who had never been to the country before, RDB Tourism and Conservation Department head Amina Kalitanyi told reporters in Kigali Wednesday. The new bureau will provide guidance on how to get to each tourism destination, what to do and and where to eat and stay. It would back the country's ambitious plans to develop and diversify the economy by boosting tourism, she said.